Vogel’s WALL 2345 Black swivel TV wall mount is a perfect addition for your home cinema or for a touch of luxury in your master bedroom. This mount has been carefully designed to glide smoothly in a 180 degree turning angle (90 degrees right and 90 degrees left), and tilt up to 20 degrees forwards to avoid glare. Give your home that something special with a wall mount from Vogel’s. The WALL 2345 Black has been carefully designed with its users in mind – the innovative easy-click tilt system allows you to effortlessly adjust the angle of your screen, and the convenient adjust level ensures that your TV hangs picture-perfect on the wall. Vogel’s understands that it’s also important for products to look as good as they work, which is why we designed the stylish WALL 2345 Black wall bracket to guide wires neatly and discreetly. 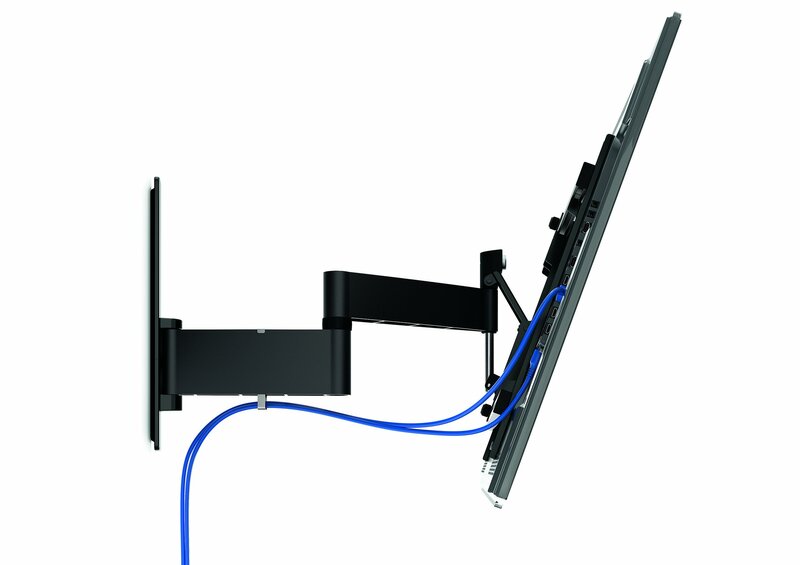 These wall mounts offer sturdy and reliable support for 40-65 inch (102-165 cm) screens weighing up to 30 kg (66 lbs). 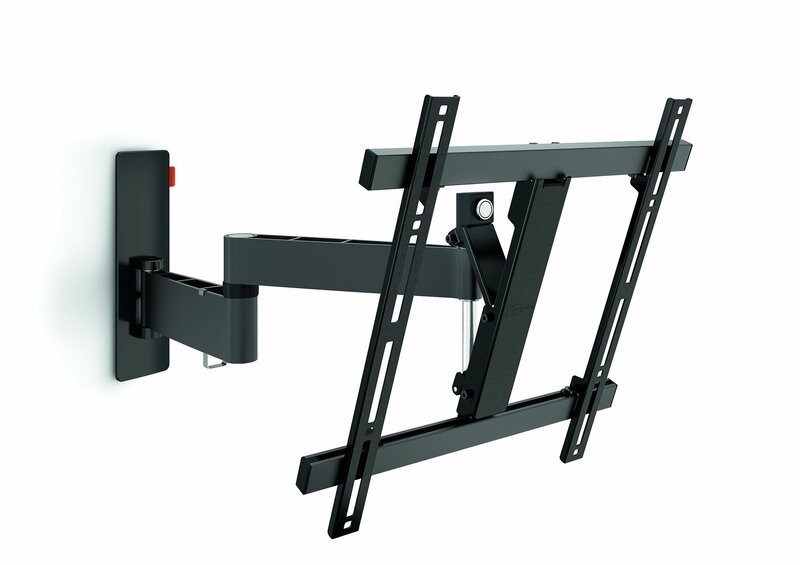 Show off your TV no matter where you are in the room with a WALL 2345 Black swivel wall mount from Vogel’s. 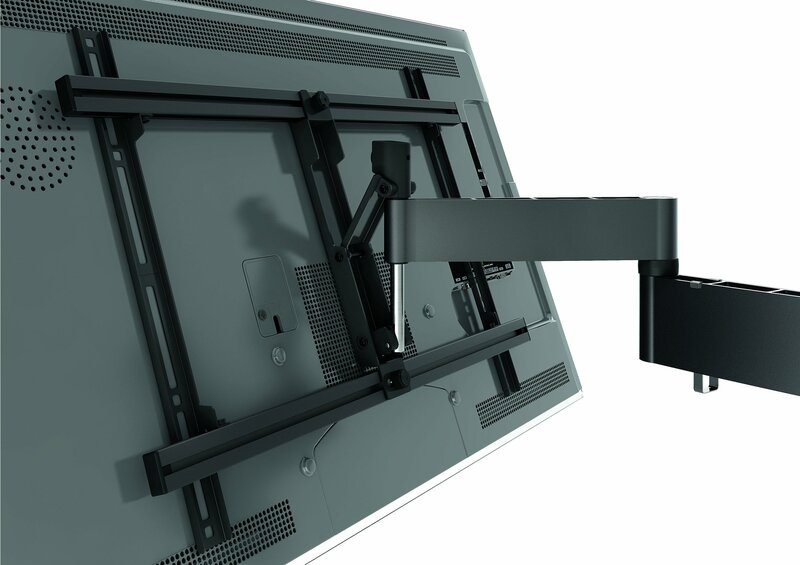 Suitable for screen sizes from 40" to 65"
Well made, strong, very secure fixing points. Moving the screen is easy, the pivots are stiff enough to not be "sloppy" but not too stiff. In addition to the usual drill, you'll need a socket to tighten the wall bolts properly, it's not a common size (12mm I think) so a trip to the nearest tool shop is required. A spanner won't fit into the available space.